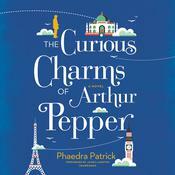 A librarian’s discovery of a mysterious book sparks the journey of a lifetime in the delightful new novel from the international bestselling author of The Curious Charms of Arthur PepperLibrarian Martha Storm has always found it easier to connect with books than people—though not for lack of trying. She keeps careful lists of how to help others in her superhero-themed notebook. And yet, sometimes it feels like she’s invisible.All of that changes when a book of fairy tales arrives on her doorstep. 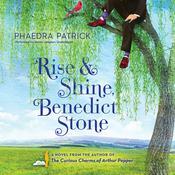 Inside, Martha finds a dedication written to her by her best friend—her grandmother Zelda—who died under mysterious circumstances years earlier. 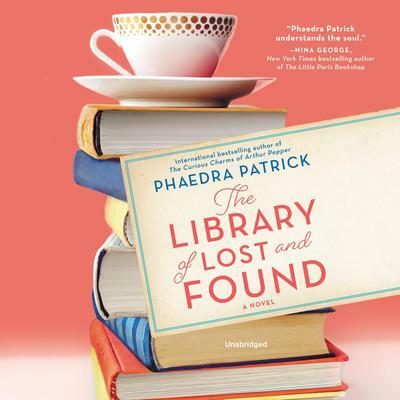 When Martha discovers a clue within the book that her grandmother may still be alive, she becomes determined to discover the truth. 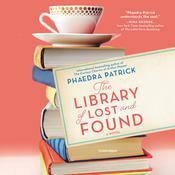 As she delves deeper into Zelda’s past, she unwittingly reveals a family secret that will change her life forever.Filled with Phaedra Patrick’s signature charm and vivid characters, The Library of Lost and Found is a heartwarming and poignant tale of how one woman must take control of her destiny to write her own happy ending.